Excellent value for money - you get three bowls of differing sizes. The bright colours are great and match the other items from the Munchkin range. 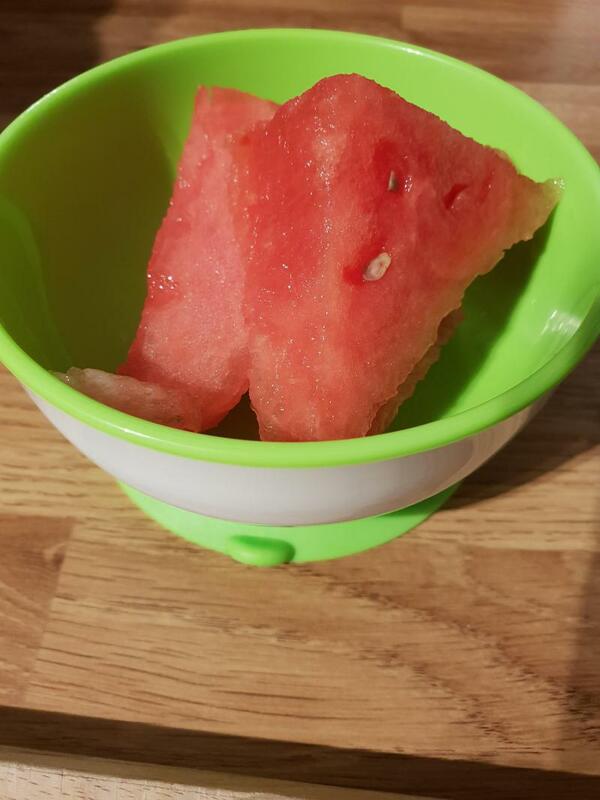 The suction at the bottom of the bowl works well, they are my standard go to bowls for my 11month old. My only slight complaint would be that it would be good if they were wide and flat or at least one in the three was like this so it's more plate like. We love these bowls. They are gorgeous, the colours are lovely and baby seems to like them. The auction is great and unlike other similar bowls, Baby cannot pull these off the table! They are dishwasher safe and microwave safe so ideal for busy parents. These bowls are great for staying put. The sucker cup on the bottom holds them firm as long as the surface they are on is 100% clean, dry and grease free. Really nice sizes, easy to clean and safe for little fingers to explore. They are also very robust and can take a battering if your little one manages to figure out how to break the suction. Really simple to use, and asy to wash. I thought I'd give these a good try out before posting my review and I was thrilled with them to begin with. My daughter simply could not budge them when she tried and there's no corners for food to get stuck in which also makes them easy to wash. The sizes are also perfect for what we use them for. However, the suckers do not stick if there is the slightest crumb or anything else on the surface which makes them virtually impossible to use for dessert unless you wipe the surface really well first. Also, two weeks in, I noticed my daughter can now pull them off fairly easily and that is when I can stick them down in the first place. They slowly "unsuck" after initially sticking as normal. 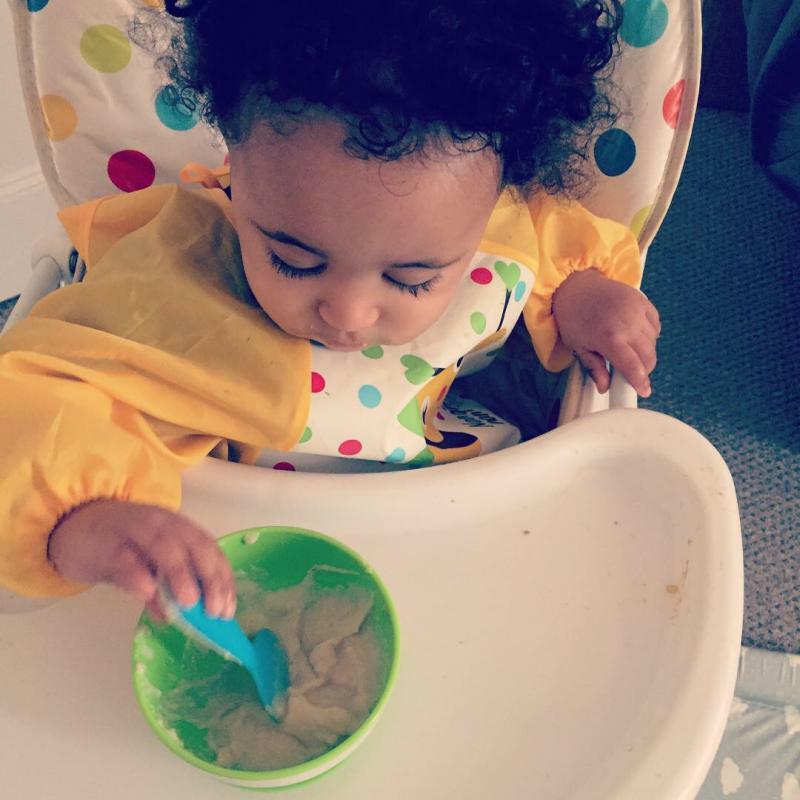 We continue to use them though as my daughter has now realised that if she throws her bowl, her food goes with it! Despite not being as pleased as I was, I actually still kind of love them. They have great colours and sizes. They're good for finger food. My son enjoy eating from them. It's easy to use them and clean. Well made and good sized. Doesny stick down very well. 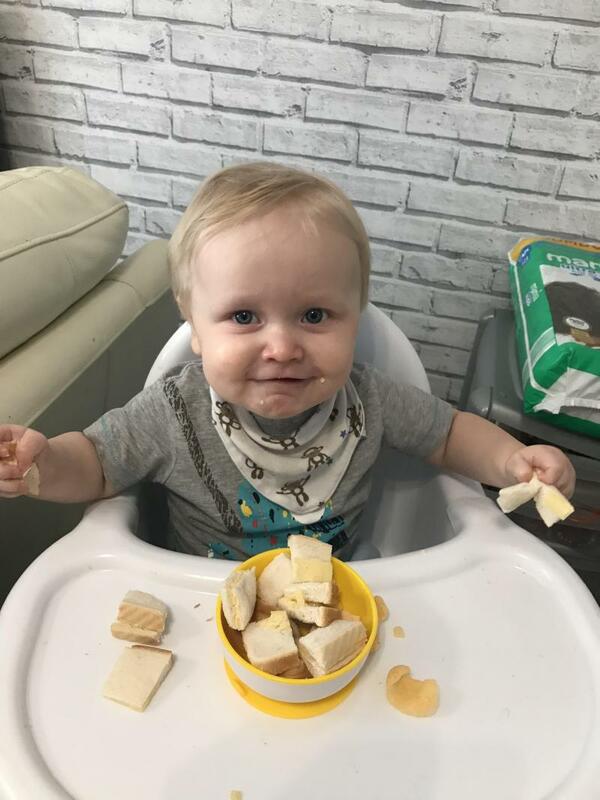 My 11 month old can easily pull it off the tray when its stuck down. Well made and good size for a toddler. Doesnt stick down very well though on our high chair tray. Like the colours and good for the price. Comes in 3 different sizes and is perfect for the amount my little one eats. Massive fan of these bowls! 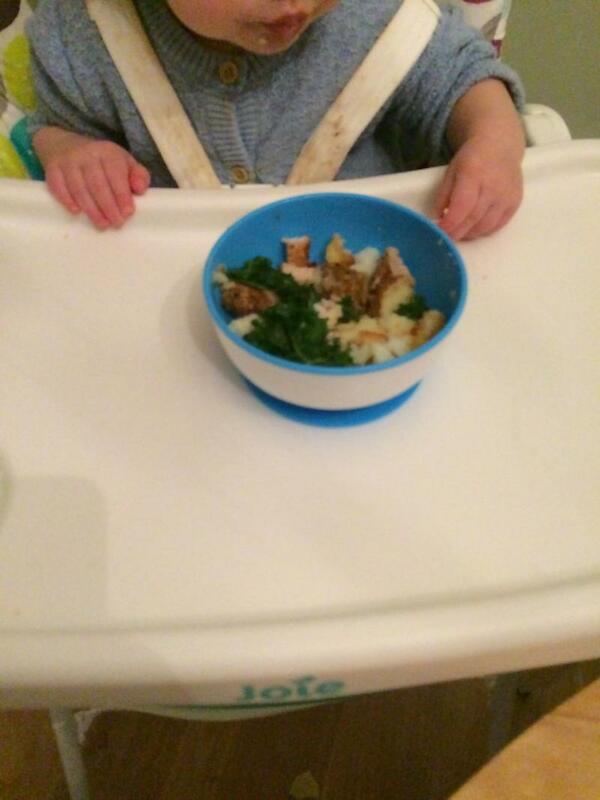 They stay stuck to my sons highchair tray, disenabling him to launch his food across the room ! Nice size for little ones and wash up nicely, nice colour scheme and attractive design. Cheap price great value, very good quality. Would love them to be a bit bigger! My 10 month old just launched everything, he can’t do this with these so they are a bonus! They are easy to use, remove and clean and haven’t discoloured with tomato soup etc. I wish they did a slighter bigger one and lost the smallest one as when you have a hungry toddler they just don’t hold enough. They have certainly saved my carpet and dog doesn’t get two dinners so it’s a win win here!! 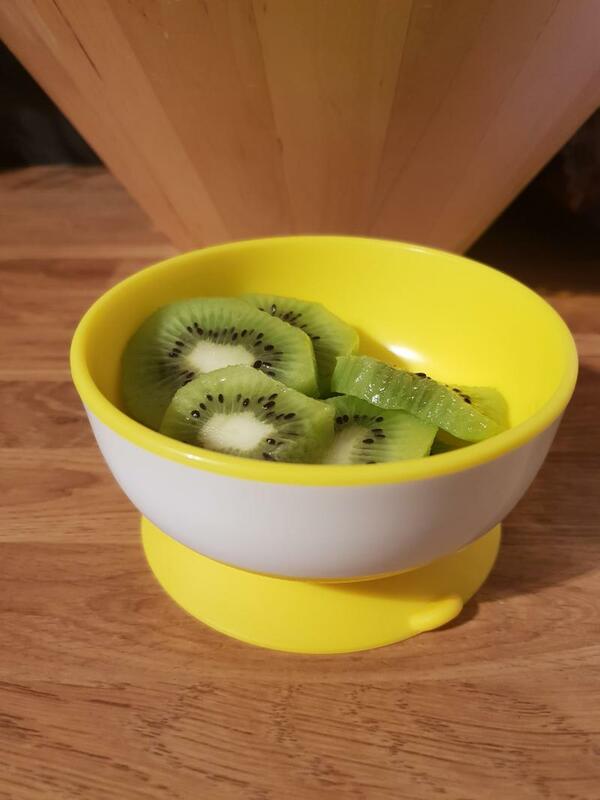 I really like these bowls, I already use the suction plates but with these bowls my little boy can feed him self the liquid our softer foods also. The suction is strong hold and so is quality of the bowl it’s self. Lovely bright colours and easy to use. One thing I would change or add is if they came with litter lids to cover. Overall it gets my Thumbs up. Is scratched as my daughter uses a metal spoon. 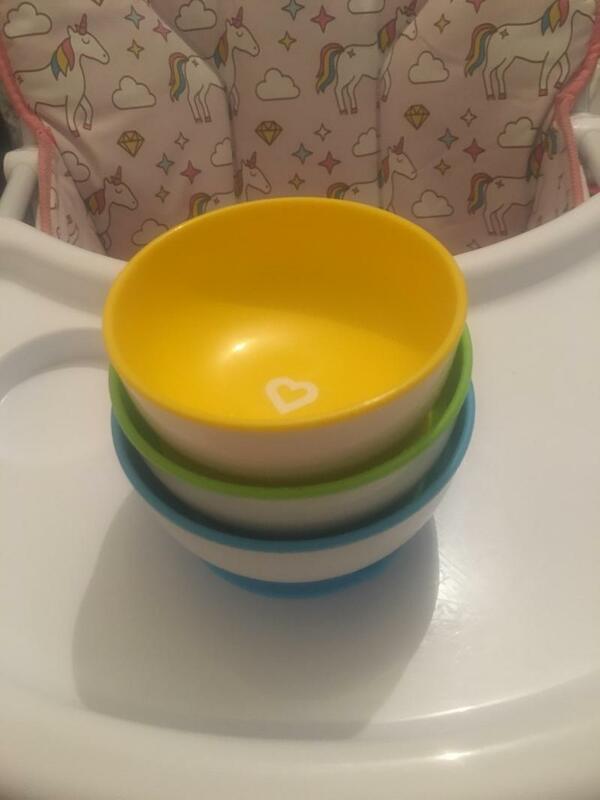 They are especially great for my 8mth old who loves throwing anything off her high chair tray so I can now put food in the bowl and know the bowl will stay put. I would defiantly recommended these bowls. 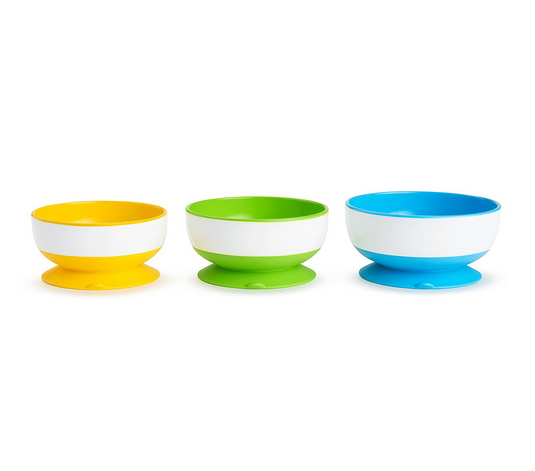 My initial impressions of these bowls was that they looked good, they are lovely colours. 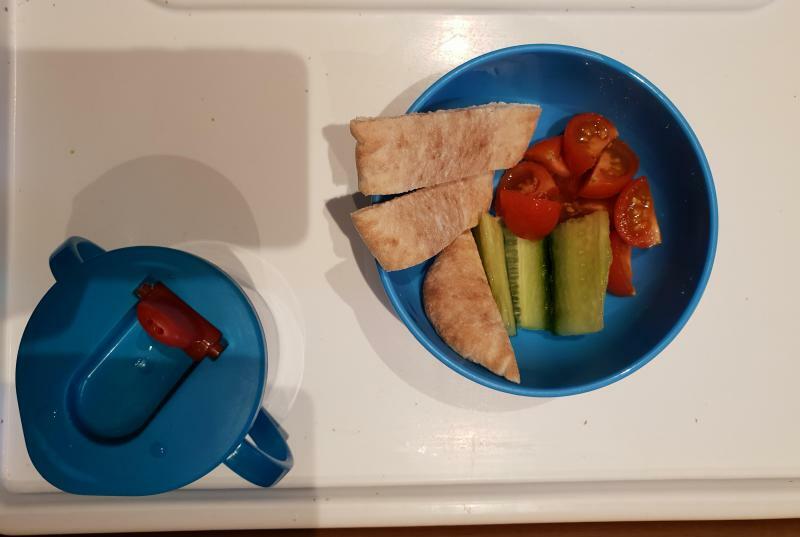 I feel the bowls are quite small but can be used for my youngest for lunch and dinner, the smallest of the bowls I feel would be ok for sonething like fruit. I feel the price is a little high for 3 bowls, but you get what you pay for like I said they are great quality and will definitely last well. 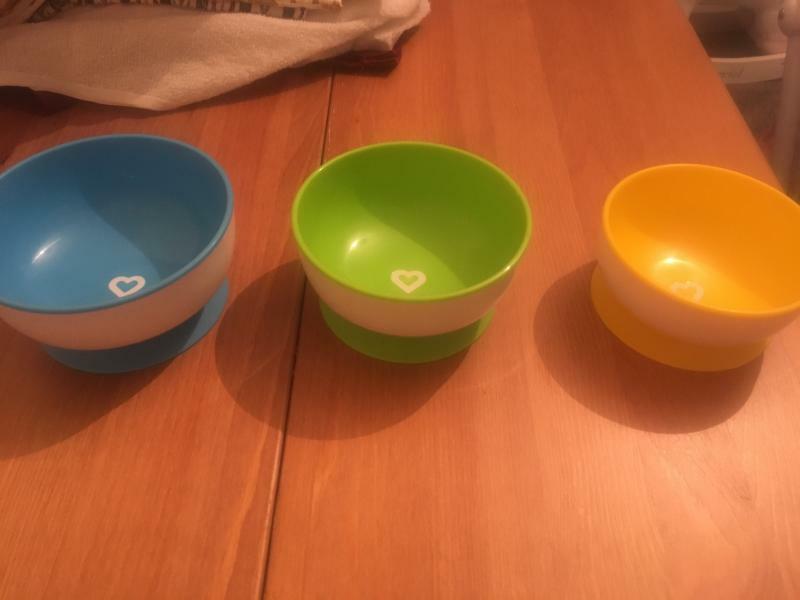 The bowls say 18 months plus but my boy is 11 months and does well with them and alongside their size I think the age on the packaging should be lower. The bowls can also go in the microwave so you don't have to mess around swapping bowls if you need to warm something up as well. Overall I would recommend these bowls to other parents. 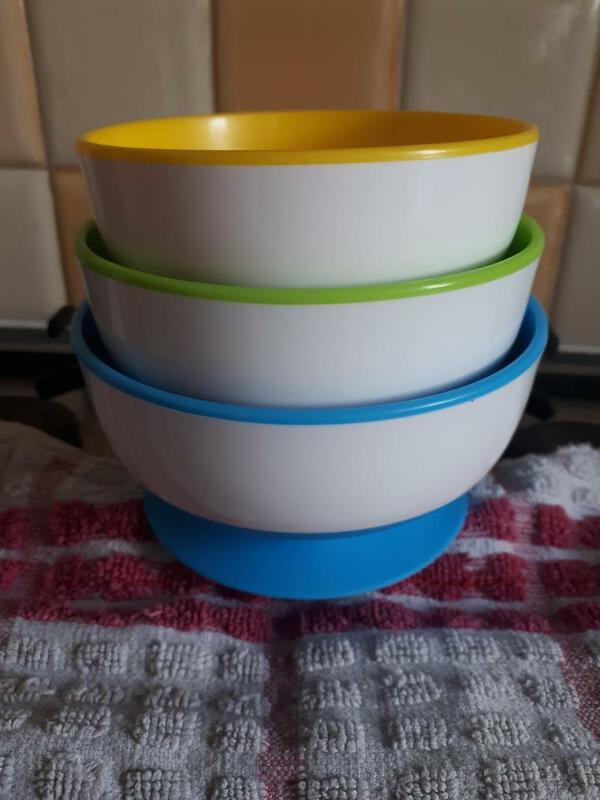 I was sent these suction bowls to test.They come in three different sizes, small, medium and large,all different bright colour. 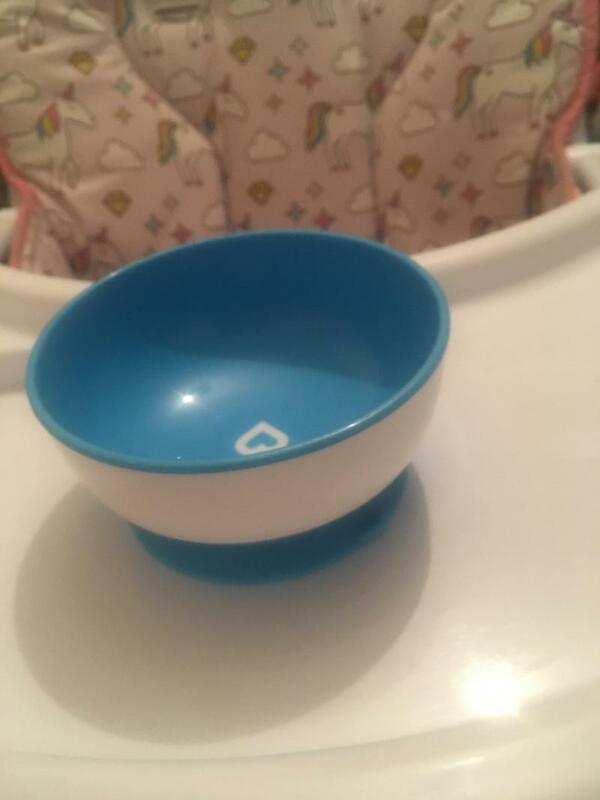 There really easy to use you just push the bowl down onto most surfaces making sure my 11 month old or 3 year old can't throw it on the floor! They stick to most surfaces and the bowls don’t slip or slide when they go to get the contents out witch is great for all and less mess. There perfect and think very well priced. I tried these bowls with my 10 month old twins. 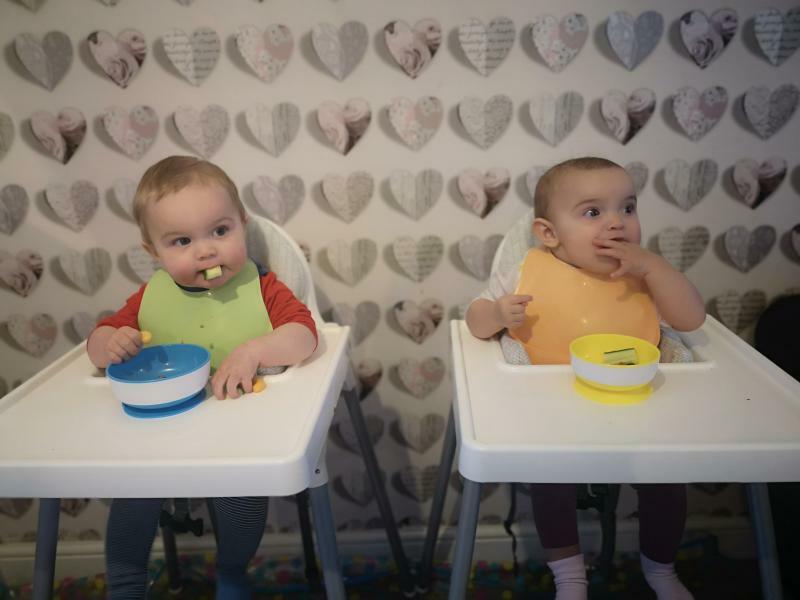 They had their lunch in with various baby led weaning snacks and the bowls stayed put the entire time. I never usually use any sort of bowl or plate as the babies throw them on the floor normally with the food inside! That didn't happen with these and eating time was so much cleaner. I was sent these suction bowls to test, they arrived a couple of days ago. They came in three different sizes, small, medium and large, each bowl a lovely design and a different bright colour. Simple to use you just push the bowl down onto most surfaces and they become stuck making my little girl unable to pick it and and most likely throw it on the floor! They stick to my daughters high chair tray and also to my wooden dining table, coffee table and to my kitchen worktop. Having them stick to most surfaces is really handy, especially for when we’re out and about! There is a little tab on the side making it easy to get the bowls back off, they’re plastic and rubber which makes them really easy to clean. 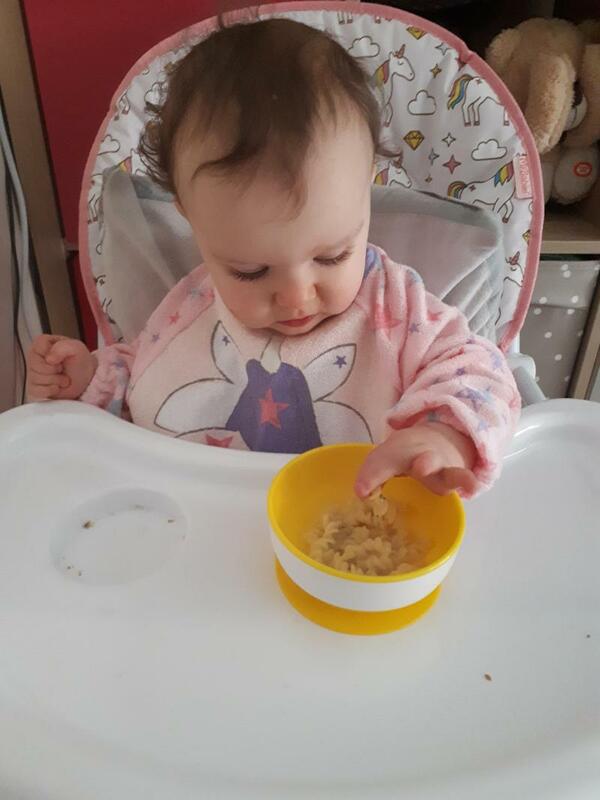 My daughters at the age where she is starting to feed more independently, these bowls make it impossible for her to throw or tip the bowl up, they also make it easy for her to get whatever’s inside as the bowls don’t slip or slide when she goes to get the contents. Having the three different sizes is really handy to, the smallest one is perfect for any bits of fruit etc for a snack, the medium and large is perfect for a main meal in one and maybe a yogurt ect for her pudding! 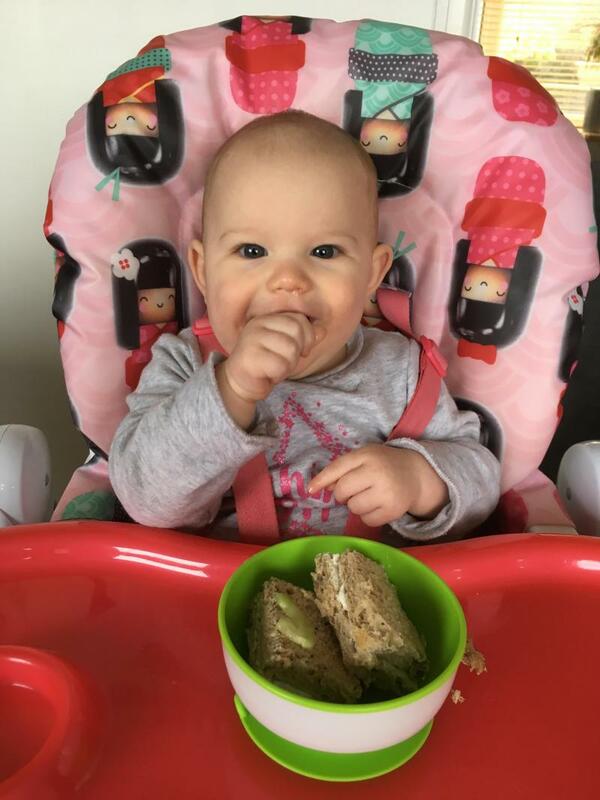 The medium one makes a perfect portion size for her breakfast such as porridge or weetabix! 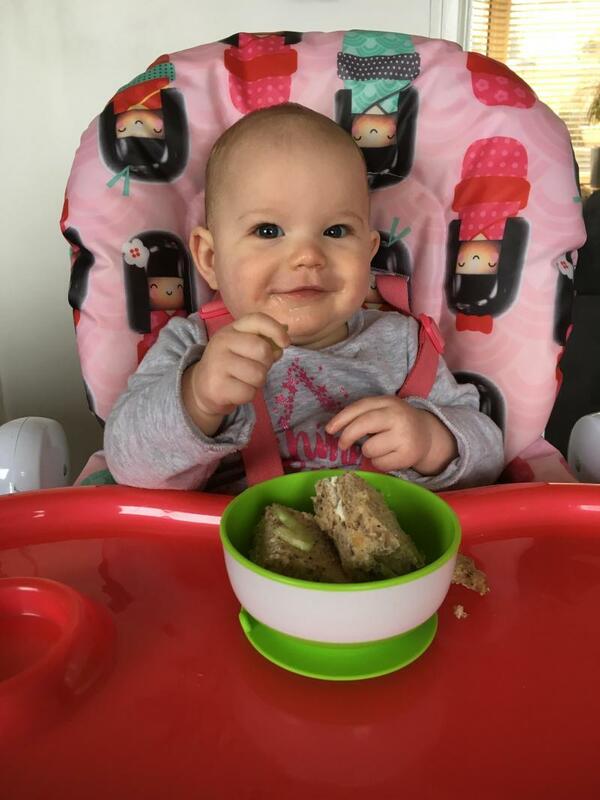 I have got some smaller non suction bowls which just end up all over the place and I sometimes have to make more porridge ect as the other bowls I have are too small and she has a big appetite! They are the perfect little helping hand at meal times and I think very well priced too. We received this product as a free product test. 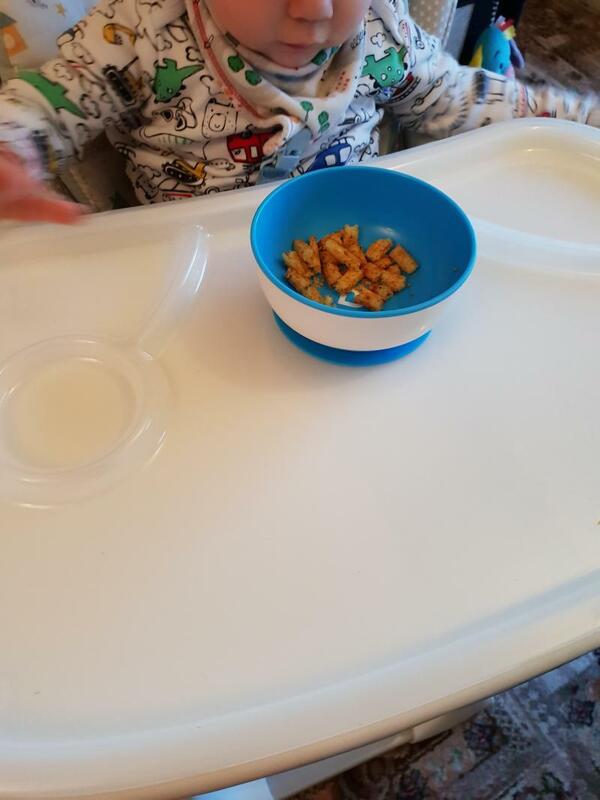 I'm overall impressed by the bowls but they're unstuck after a few minutes into each meal by my son who loves to try tip his meals everywhere. 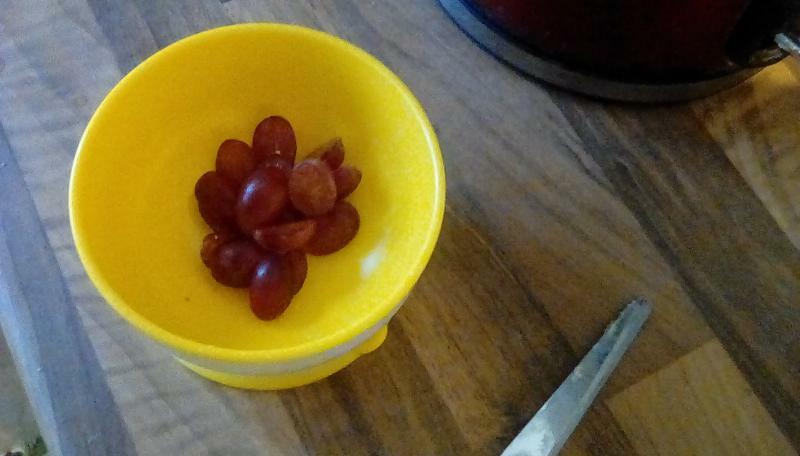 Two of the bowls are also very small for babies with a big appetite. They're easy to clean and it's great that they stack too, just a shame about the suction and the small size of 2 of the bowls. These bowls are fantastic! There is no way at all my baby can move these once they are stuck down. So very well made but are a little boring to baby eyes. Robust, dishwasher safe, attractive colours. Small, costly and can be pulled off by an intrigued baby! 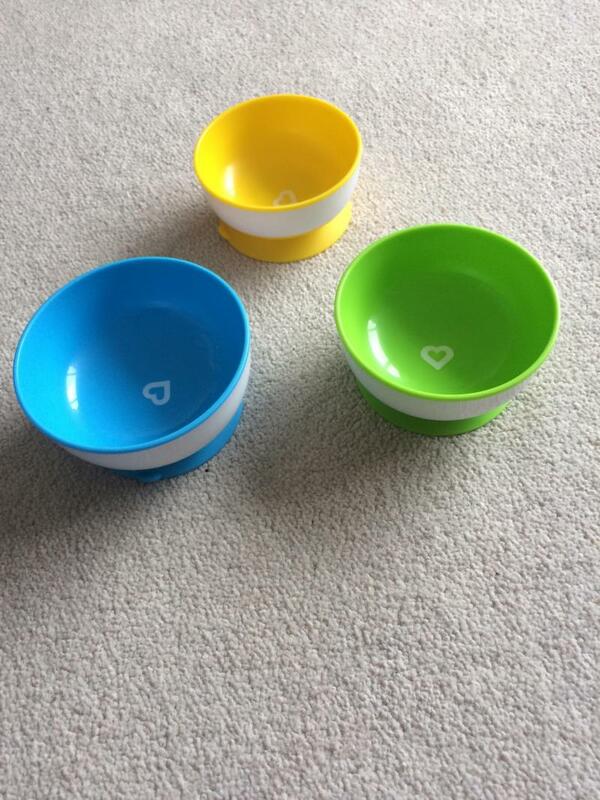 Very happy to receive these bowls as part of the free product test. We instantly loved the colours and I was so impressed with how robust the bowls are. 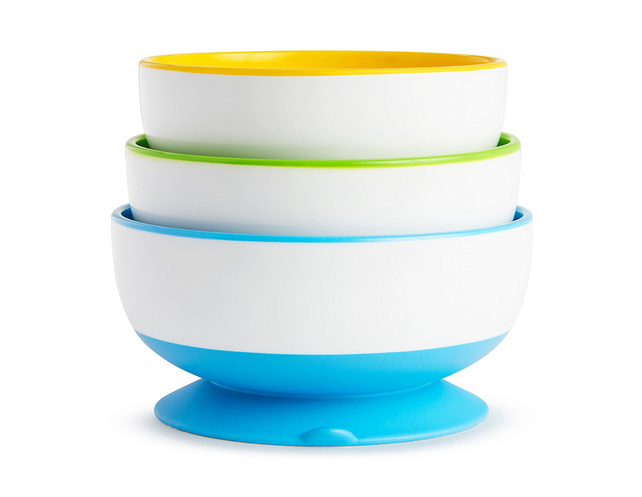 The bowls are both microwave and dishwasher safe which is a bonus when it comes to feeding little ones. 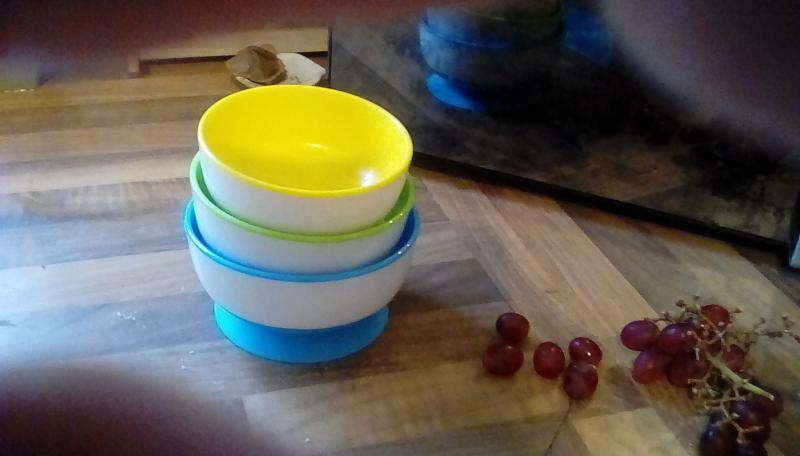 The largest bowl was just about the right size for my 12 month olds portion of food, however the others will have to be used for snack or pudding as they are very small. I think they would be ideal sizes for at the start of weaning. Looking at the cost, I probably wouldn’t have spent this much on a pack of bowls myself and they do feel a bit of a luxury, however on the first use I could see the appeal. 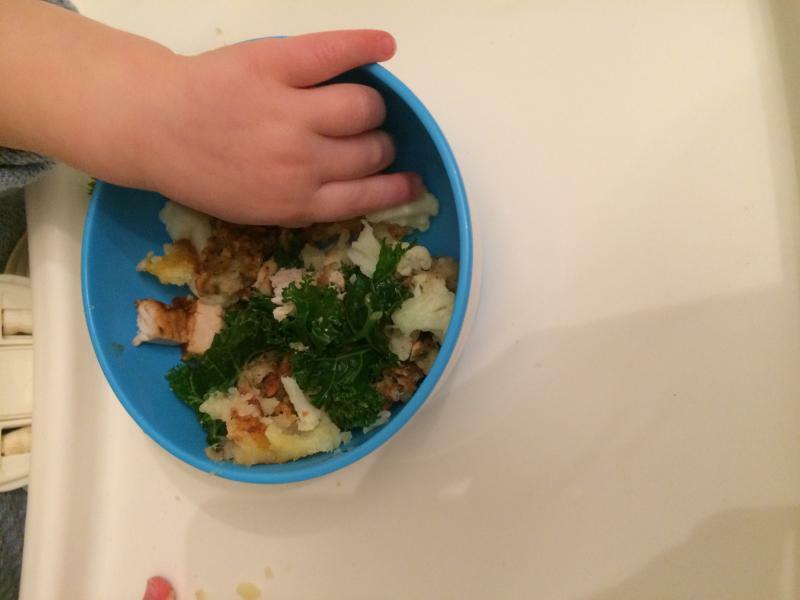 I dished up the little ones roast dinner into the bowl and plonked it on her tray, WOW! She loved it. She fed herself the entire meal and unlike previous mealtimes it didn’t end up all over the floor...however!! She started to get frustrated when she was unable to tip the bowl towards her to get the last few bits of food, this resulted in a huge paddy and she did somehow manage to pull the bowl off her tray. Thank goodness it wasn’t full. Perhaps it was sheer luck that she found the adult tab to lift the bowl up. I have received these to review and find them to be much better than previous auction bowl I have. The suction whilst not perfect is much stronger. They are colourful, but a little small and deep for my daughter to nose what’s in there and pick things up. I think when she is a little older and uses utensils these bowls will be even more useful. 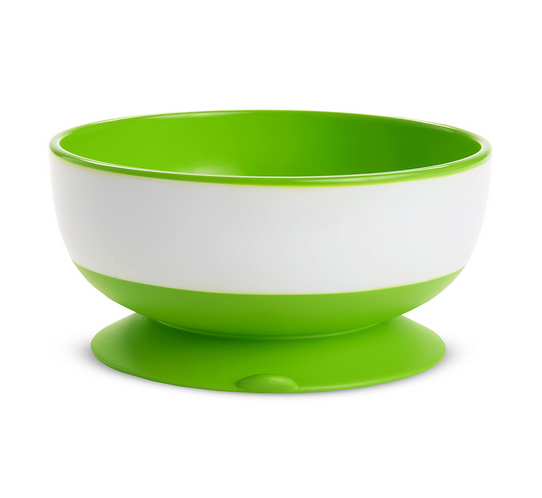 These bowls are a good sturdy quality and are built to last. I love these bowls. I got them to write a review of them so I cannot really say if they are valid for money but I think I would buy these again. 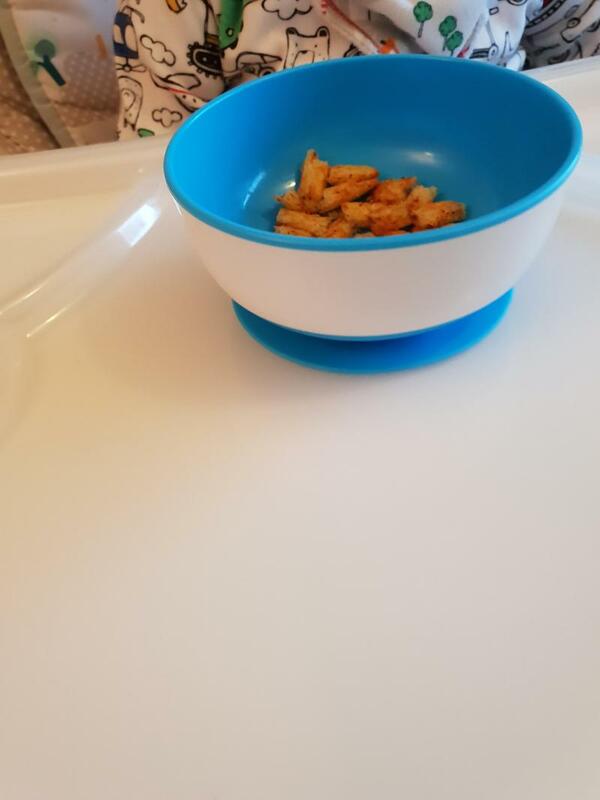 My little one just loves to tip his bowl upside down which can be irritating if you have something deployments like soup so these bowls are perfect for this. There are three sizes of bowls. They are really easy to use and the suction part is strong but not too string. There is a handy groove in the suction bit that you can lift up to be able to lift the bowl up. These are great little bowl I wish I had bought when I started weaning. I bought them when my son was around 11 months and was throwing everything on the floor (still is at 15 months!) but I think they’re a bit small, I only really use them for snacks, not meals. They would have been better when he was younger I think. I mainly use the larger one. They still do the trick though, he can’t pull them off so the suction is great. These bowls are a great for our little girl she's a messy eater so it's very helpful that the bowl stays in place and doesn't end up on the flood! The suction really helps and stays in place. It's also easy to clean i will buy again.